Always have wine at the perfect serving temperature with 48 Bottle Wine Cellar. 3 independent temperature zones. 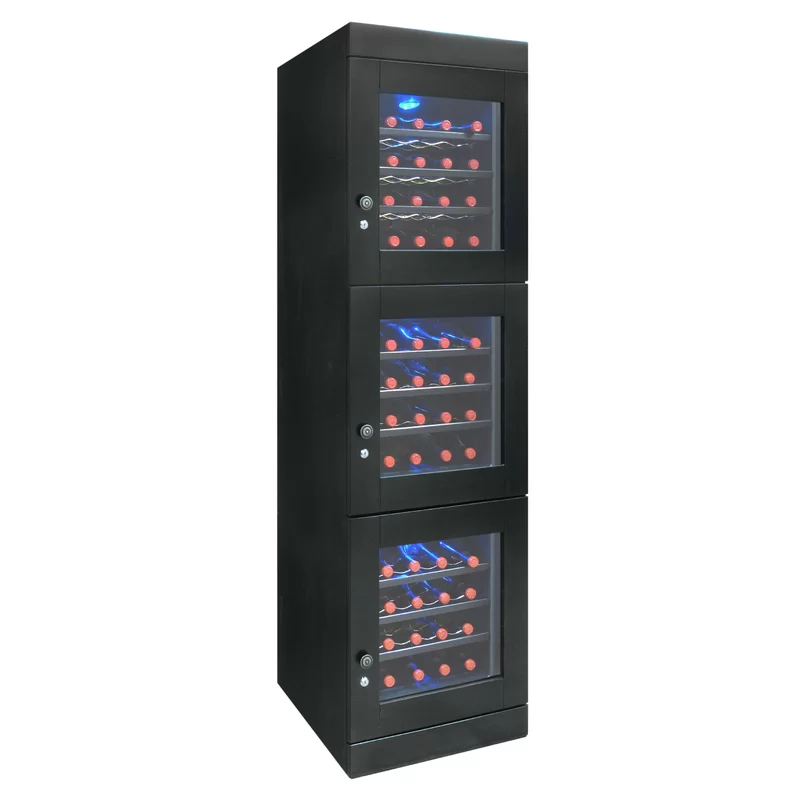 Always have wine at the perfect serving temperature with Vinotemp’s 48 Bottle Wine Cellar in Espresso. Available with right or left hinge, this furniture style piece features insulated locking glass doors with wood trim and sturdy wire shelving. Three independent temperature zones are simple to adjust by using the temperature control dial. Soft interior lighting illuminates the cooler’s contents making it easy to select your favorite bottle. This sophisticated piece is the perfect solution for those with a growing wine collection!.